In 1912, a group of ambitious young men congregated in a 19th Street row house in Washington, DC. Disillusioned by the Taft administration, they shifted from a firm belief in progressivism—the belief that the government should protect its workers and regulate monopolies—into what is now called “liberalism,” or the belief that government can improve citizens’ lives without abridging their civil liberties and, eventually, civil rights. 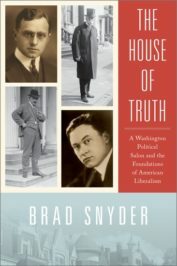 In this shortened excerpt from The House of Truth: A Washington Political Salon and the Foundations of American Liberalism, Brad Snyder explains how these friends, among whom included Supreme Court Justice Felix Frankfurter and journalistic giant Walter Lippmann, laid the foundations of American liberalism. In 1918, a small group of friends gathered for dinner at a row house near Washington’s Dupont Circle: a young lawyer named Felix Frankfurter; a 77-year-old Supreme Court justice, Oliver Wendell Holmes Jr, and his wife, Fanny; and perhaps the most unlikely guest, the sculptor Gutzon Borglum. As they sat around the dining room table, Borglum described his latest idea for a sculpture. He wanted, he explained to the other guests, to carve monumentally large images of Confederate war heroes into the side of Stone Mountain, Georgia. Justice Holmes, a Union army veteran who had always admired his Confederate foes, expressed interest in Borglum’s idea. Yet he could not fully grasp the sculptor’s vision. 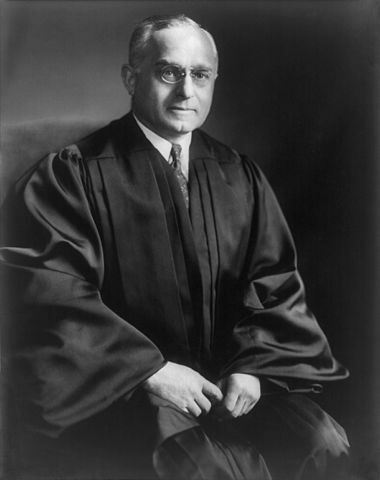 Portrait of Associate Justice Felix Frankfurter of the United States Supreme Court, circa 12 July 1918. Author: Harris & Ewing. Public Domain via Wikimedia Commons. Borglum, a Westerner whose cowboy hat, bushy mustache, and stocky frame reflected his frontier beginnings, pushed the plates to the center of the table and began drawing on the white tablecloth. He depicted three men in the foreground, all of them on horseback: Robert E. Lee on his legendary horse, Traveller; Stonewall Jackson, slightly in front of Lee; and Jefferson Davis closely behind them. There were clusters of cavalrymen in the background. The desired effect, Borglum explained, was to march the Confederate army across the 800-by-1,500-foot face of the mountain. Holmes was delighted and astonished. Frankfurter never forgot the encounter. As it turned out, Borglum never finished his Confederate memorial (mainly because of a dispute with the Ku Klux Klan, an organization he had embraced). Nonetheless, his first attempt at mountain carving led to what became the major work of his lifetime: memorializing four American presidents in the Black Hills of South Dakota at Mount Rushmore. For Frankfurter and his friends, the House was a place to gather informa­tion, to influence policy, and to try out new ideas. In 1912, many of them wanted Theodore Roosevelt once again in the White House and supported his third-party presidential run. Two years later, they founded the New Republic as an outlet for their political point of view. Above all, the House of Truth helped them created an influential network of American liberals. 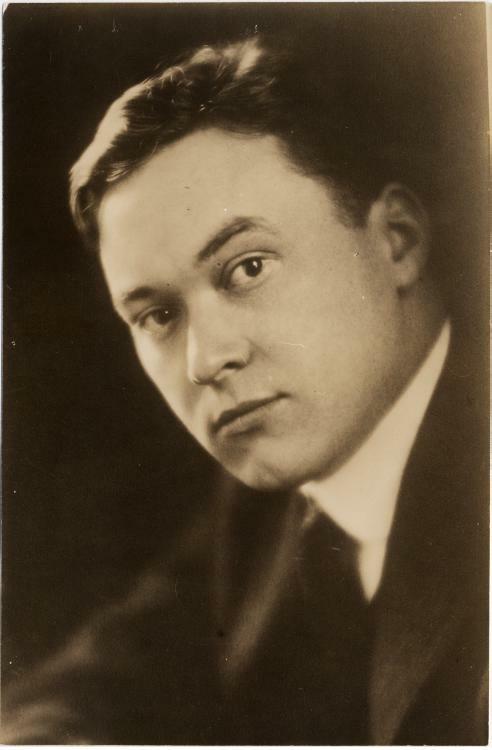 Portrait of journalist Walter Lippmann by the photographer Pirie MacDonald, published in 1914. Public Domain via Wikimedia Commons. After the 1919 Red Scare prosecution and deportation of radical immigrants and the Red Summer of racial violence, Frankfurter and his allies began to change their view of the Court. They looked to the Court, and especially to Holmes and Louis D. Brandeis, to protect free speech and fair criminal trials. During the Harding, Coolidge, and Hoover administrations of the 1920s and early 1930s, Frankfurter, Lippmann, and their liberal friends found themselves out of political power. They never lost faith in the democratic political process, but they turned to the judiciary when the political process failed them. The story of the House begins with the friendship and professional aspirations of its three original residents: Frankfurter, Winfred T. Denison, and Robert G. Valentine. Together with Frankfurter, they stood out in the Taft administration as three of the most fervent supporters of Theodore Roosevelt. Though Denison and Valentine have been forgotten by history, all three men played central roles in the formation of the House of Truth. Supreme Court nominees. They took sides in 1927 on the efforts to save Italian anarchists Sacco and Vanzetti from the electric chair. They repeatedly celebrated the career milestones and opinions of Justice Holmes. And in 1932, they helped to elect a president and another Roosevelt. In its own way, nothing captured the House of Truth’s belief in government better than Borglum and his monument at Mount Rushmore, a mountain carving inspired by the Confederate memorial he had started to draw on the tablecloth that night in 1918. His desire to create a “shrine to democracy” began after Theodore Roosevelt’s defeat in 1912. That election galvanized Borglum, just as it did the group of young men, beginning with an Austrian-Jewish immigrant who ascended through the ranks of the federal government of his adopted country. Featured image credit: “Supreme Court of the United States” by Daderot. Public Domain via Wikimedia Commons. Brad Snyder teaches constitutional law, civil procedure, twentieth century American legal history, and sports law at the University of Wisconsin, Madison. He has written two critically acclaimed books about baseball, including A Well-Paid Slave: Curt Flood's Fight for Free Agency in Professional Sports, and contributed articles to Slate and the Washington Post. He has also appeared on ESPN, C-SPAN, and in HBO and New York Times documentaries. For many years, he lived two blocks away from the House of Truth in Washington, DC, where he and his family still reside. He is the author of The House of Truth: A Washington Political Salon and the Foundations of American Liberalism. It’s interesting that Mt. Rushmore and insult to Indians on stolen land began as an insult to Africans Americans and their stolen lives.